Amid the rollout of the February 2018 U.S. Nuclear Posture Review, security analysts have understandably focused much attention on its implications for the U.S. nuclear arsenal, intra-alliance ties with key North Atlantic Treaty Organization (NATO) partners, and Washington’s icy relations with Moscow. But nuclear deterrence only partially addresses NATO members’ shared concerns about Russian behavior, especially in light of Moscow’s growing propensity to undermine the alliance with nonkinetic operations and other tactics that nuclear warheads cannot easily deter. The risk of escalation sparking a wider conflict—deliberately, inadvertently, or accidentally—between Russia and NATO is dangerously high. This is particularly the case in the Baltics, a region that would be difficult for NATO to defend because the military balance there very much favors Russia; moreover, Moscow could instigate unrest among the Russian minorities living there. To mitigate these risks and remain united, NATO members must complement deterrence with resilience and risk-reduction measures better tailored to addressing Russian behavior below the threshold of outright conventional and nuclear conflict. To keep the West out of the non-NATO former Soviet republics, Moscow has developed new-generation warfare, a coercive strategy that combines traditional conventional and nuclear military capabilities with nonkinetic operations such as cyberattacks, propaganda, and disinformation. NATO members have different views of Russia’s intentions toward the alliance and how to respond. In the wake of the Ukraine crisis, some allies fear that Moscow could use military force against NATO, particularly the Baltic states. They urge the alliance to do more, militarily, to deter Russia and to reassure its easternmost members. 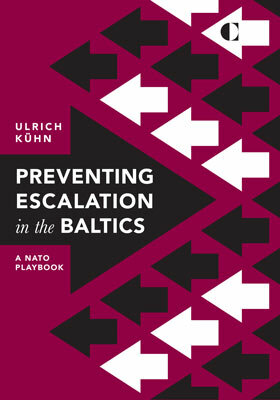 They fear that NATO’s current response—including, most importantly, the deployment of a trip wire force of four multinational battalions, the Enhanced Forward Presence (EFP), to the three Baltic states and Poland—might not be enough to deter deliberate Russian escalation. Others are rather skeptical that Moscow presents an immediate military threat and caution against unnecessarily raising tensions further. Instead of deploying additional forces, they want NATO to focus on increasing the resilience of member states against Russian nonkinetic operations and to engage in a serious security dialogue with Russia, reducing the risks of inadvertent and accidental escalation. Both approaches could create the risk of miscalculation and, perhaps, escalation. If NATO underestimates the threat Russia poses, the alliance may give Moscow reason to test its resolve—perhaps even by using military force. Conversely, if NATO overestimates the threat emanating from Russia, its well-intentioned defensive measures may lead to a security dilemma that precipitates an arms race and ultimately undermines alliance unity. The challenge Russia poses, combined with NATO’s responses to date, creates a series of potential escalation pathways, which need allies’ urgent attention. The alliance’s need to reinforce troops in a crisis and the positioning of some of its forces in the region could spark inadvertent or deliberate escalation. Were Russia to threaten military escalation in a crisis, NATO would feel significant pressure to reinforce forward-deployed troops as a defensive precaution. However, if NATO failed to clearly and persuasively communicate to Russia its defensive intent, Moscow might misread the deployment as the opening of a NATO offensive, perhaps responding by escalating to (what the Kremlin would see as) the preventive use of military force. As soon as NATO was to send in reinforcements (or even, perhaps, when Moscow was to judge the alliance was about to do so), Russia might try to use its anti-access/area denial (A2/AD) capabilities around the Baltic Sea to cut off sea and air routes. NATO might, therefore, believe it has little choice other than to attack Russian A2/AD capabilities early in a conflict, effectively escalating conflict into Russian territory. Even more concerning, were Russia to use force against the alliance by taking a small portion of land in, for instance, eastern Latvia, EFP forces, which are based far from the Russian border, might arrive too late to engage in combat (especially given that NATO’s decisionmaking process could be quite slow). Consequently, Russia might hope to get away with a military fait accompli. NATO’s combined conventional military power and any subsequent efforts to retake the Baltics through massive force deployments, once initiated, would put the onus on Moscow. Out of fear of losing a conventional conflict with NATO, Russia might escalate further, perhaps even to nuclear use. Ambiguities in NATO’s and Russia’s nuclear policies create the potential for deliberate escalation. NATO allies have disagreed about the politics of nuclear sharing, the idea of having non-nuclear NATO members take part in nuclear planning and some members providing national aircraft to deliver U.S. nuclear weapons in the event of their use. In addition, allies disagree about the appropriate readiness levels for those dual-capable aircraft in Europe and about whether NATO exercises should involve nuclear elements. This somewhat ambiguous stance toward nuclear deterrence might lead Russia (perhaps wrongly) to doubt NATO’s resolve in a crisis, increasing the risk of escalation. Conversely, NATO might not view Russian nuclear threats as credible, especially early in a crisis when they might appear to be disproportionate. In this case, NATO misreading Russian resolve might cause escalation. Moscow’s efforts to influence Russian minorities in the three Baltic states could lead to a crisis in which neither NATO nor Russia would be able to manage subsequent escalation. For many years, Russia has staged a subversive disinformation campaign in the Baltics, aimed at influencing Russian minorities. If protests by these minorities were to occur—whether deliberately fomented by Moscow or not—NATO and Russia might find it difficult to deescalate the initial stages of a crisis and instead might get drawn into an action-reaction cycle, even though neither side would want it to spiral out of control. In such a scenario, given the possibility of Russia’s building up forces in proximity to Baltic borders, it is not clear what role NATO forces, particularly the EFP, could or should play. NATO would have to balance the risks of escalating early against waiting too long, and the alliance might find it challenging to identify when a crisis would warrant a military response and what that response might be. Russia’s continued military brinkmanship (by its aircraft, in particular) coupled with inadequate crisis communication tools could trigger accidental escalation. An accidental military incident—such as a Russian fighter jet accidentally crashing into a U.S. destroyer in the Baltic Sea—could escalate rapidly. European NATO members might prefer to deal with such an incident as an alliance, whereas Washington would probably prefer not to. As a result, NATO might not only be weakened by infighting but the U.S.-Russian action-reaction cycle might unfold more rapidly than multilateral efforts to clarify what occurred and to deescalate the crisis. In addition, existing crisis communication channels with Russia might not be used to prevent escalation in the wake of such an accident. To maintain alliance unity and counter Russia’s strategy of new-generation warfare, NATO must develop a comprehensive strategy consisting of deterrence and assurance, resilience, and risk-reduction measures. To ensure the trip wire is pulled in a conflict, NATO should ask Washington to deploy a U.S. Army battalion, split equally among the three EFP deployments in the Baltic states and tasked with continuously patrolling and monitoring borders with Russia. Yet, to maintain alliance unity, NATO should avoid additional large-scale force deployments to the Baltics. NATO must clarify the roles of the EFP and reinforcement forces in the event of externally instigated domestic unrest in the Baltics or if NATO forces are deliberately targeted by protesters. Allies should streamline NATO’s internal decisionmaking process, perhaps by clarifying internally what military or political events would trigger reinforcement, so that the alliance can respond swiftly should a crisis occur. The alliance must make sure that it can move forces if reinforcement becomes necessary. It should consider enhancing the defenses of its vital logistics and transportation nodes in Western Europe and adapting its logistics in Eastern Europe. To bolster deterrence and assurance, NATO heads of state and government should convey clearer public and private messages of political resolve, while avoiding changes to NATO’s current nuclear posture. If diplomatic efforts to resolve the Intermediate-Range Nuclear Forces (INF) Treaty crisis fail, then, to preserve alliance unity, NATO members should consider military countermeasures consistent with the treaty. Until then, all diplomatic means of resolving the standoff must be explored. NATO must encourage civilian resilience measures to deny Russia the ability to escalate through nonkinetic operations, perhaps by making resilience-building expenditures count toward NATO members’ 2 percent goal for defense spending. Allies must counter Russian propaganda and disinformation targeted at Russian minorities in the Baltic states. The alliance should consider a joint NATO/EU fund for financing Russian-language media outlets, journalists, and social media accounts. NATO members should closely monitor the state of integration and representation of the Russian minorities in the Baltic states, perhaps through a reporting mechanism. NATO must continue to engage Russia to seek to prevent incidents and reestablish crisis communication channels. Allies should encourage Poland and the Baltic states to conclude individual incident prevention mechanisms with Moscow. Member states should start internal preparations for confidence-building and security-building measures and an arms control process with Russia, seeking transparency as well as reciprocal reductions and/or limitations on heavy conventional equipment in the wider Baltics region. If Russia initially refuses to cooperate on arms control, allies could explore the possibility of threatening additional NATO force deployments unless Moscow engages on conventional arms control and the INF Treaty. There are TWO EPISODES the current U.S. challenges on Russia and Global politic: Nuclear Deterrence and Diplomacy on Espionage. Strategically US need to lead New START to be implemented, revitalized the past START with Russia as soon as possible. SET ASIDE other diplomatic and espionage elections conflicts, Crimea and other differences. The goal is to stop increase military Sino-Russia cooperation. US cannot afford to have China, N. Korea (possible unification of Korean peninsula) and Russia together against the U.S. This position will endanger loosing the Baltic region cooperation and increasing pressures on NATO. In addition China will take every advantages in the situation to recruit Iran (especially incorporating Saudi Arabia on the nuclear program) and other possible US allies to create the New Block. US strategic and mature calculations' moves is extremely urgent. Perhaps US-Russia cooperation in the Arctic need to be increased to balance the recent new conflicts of Russian espionage activities in the UK and US and other possible cooperation. New assessment and join exploring the root causes of espionage complication will help to reduce the increasing tension with Russia, this is what China have been waiting for, to round nuclear producing states against the USA.